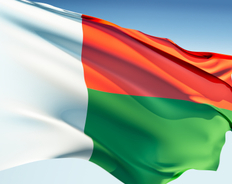 The Foundation has worked in Madagascar in the areas of handicrafts, health, hearing and microfinance. The Foundation has collaborated with the Madagascar Mission to the United Nations in these and other areas. Madagascar is an island in the Indian Ocean off the southeastern coast of Africa, the 4th largest island in the world. 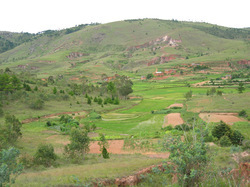 Agriculture is integral to Madagascar both economically and socially because it employs 80% of the population and accounts for more than one fourth of GDP. GDP per capita is about $900 (World Bank Country Assistance Strategy), which puts it on the UN's list of Least Developed Countries. A recent UNDP Human Development Report ranks Madagascar at 151rd out of 177 countries for which information is available. Deforestation and erosion, aggravated by the use of firewood as the primary source of fuel, are serious concerns.